A fun rainy day and fantastically festive activity to entertain the little ones. Get them in the Christmas spirit by letting them create their own stocking! 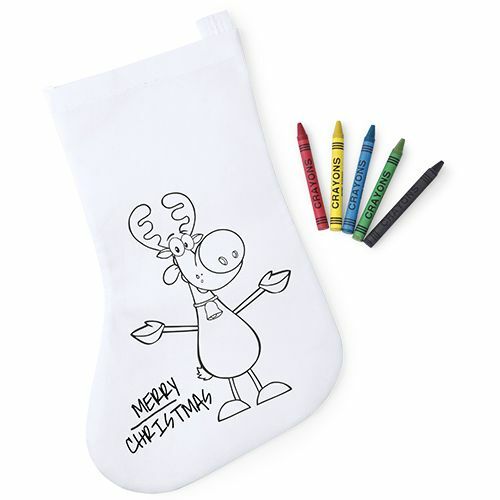 The stocking has a cute reindeer design and comes with 5 wax crayons in Black, Blue, Red, yellow and Green. This lightweight non woven stocking would look fantastic over the mantelpiece and is ideal to hold little stocking fillers.